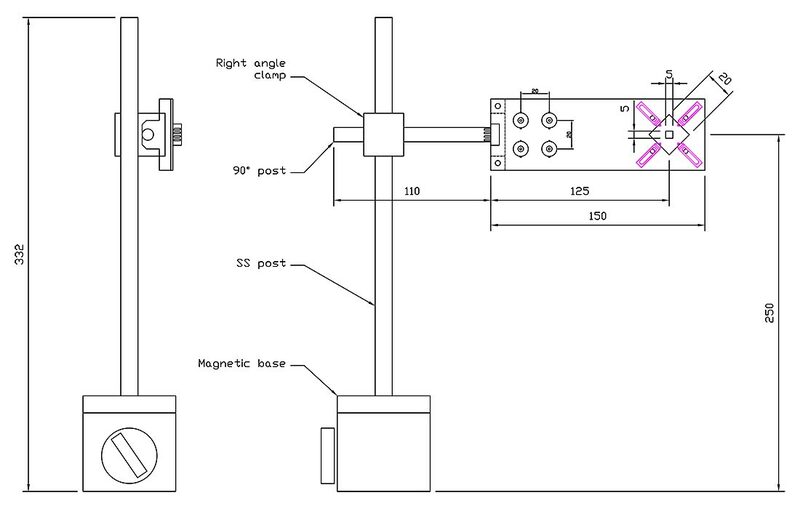 The sample holder HO-SHEM-01 facilitates the positioning of samples, like the crystals or thin films exhibiting Hall effect, between the two poles of an electromagnet. It also has the spring loaded pogo pin contacts which make electrical contact at four points in the sample surface. 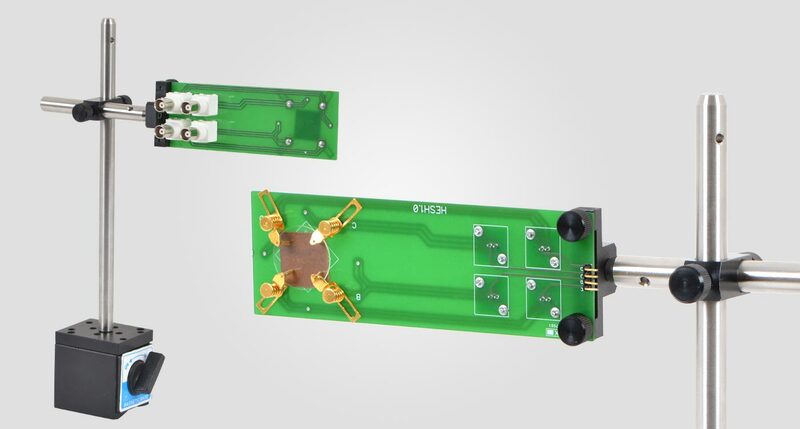 These contacts are taken out as four BNC connectors to apply a voltage or current to the sample, or to perform a voltage or current measurement. Parallel to the BNC connectors, contacts are also available through a Single In Line plastic connector. The gold coated contacts are suitable for measuring very low voltages and currents. The sample size can vary from 5 mm x 5 mm to 20 mm x 20 mm. The sample thickness can vary from 0.5 mm to 2.5 mm.